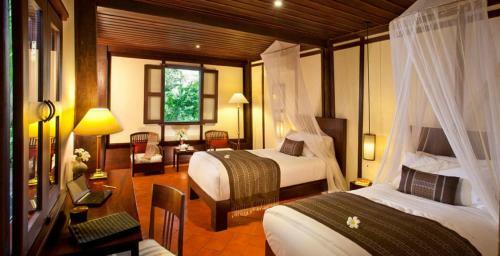 Situated in the centre of Luang Prabang, 3 Nagas consists of 3 UNESCO World Heritage buildings all over 100 years old. 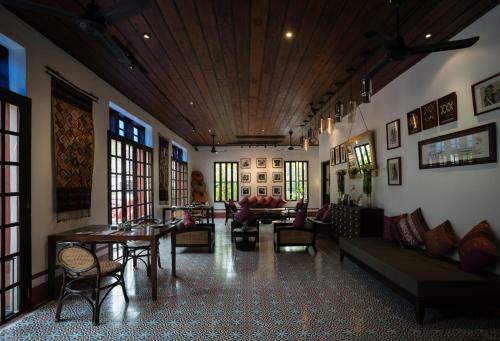 This boutique hotel offers a restaurant, free use of bicycles and 3 Nagas cocktail on arrival. 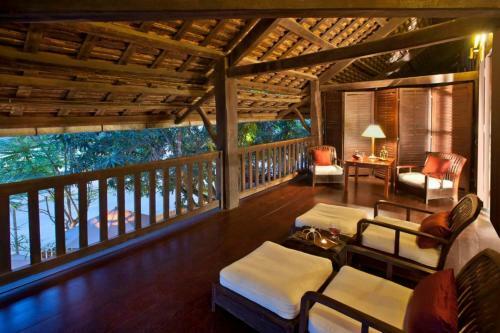 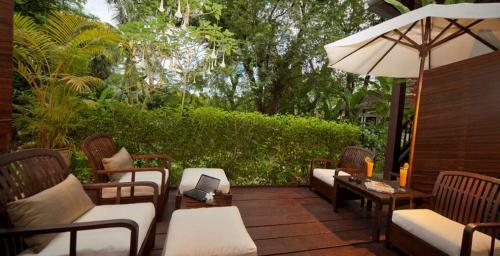 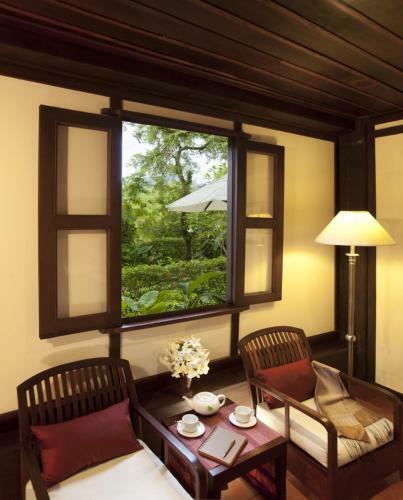 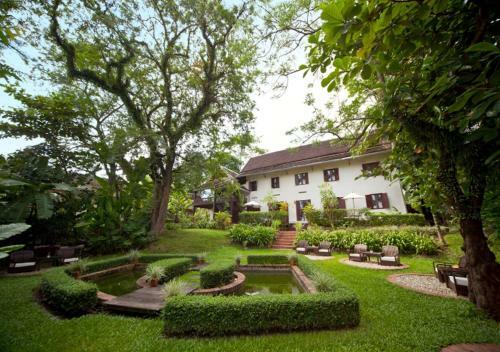 It boasts a furnished garden next to Nam Khan River and ideal access to the main street of Luang Prabang. 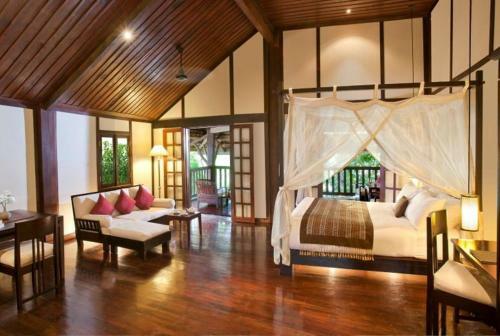 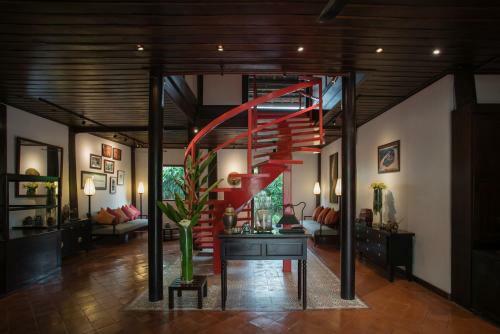 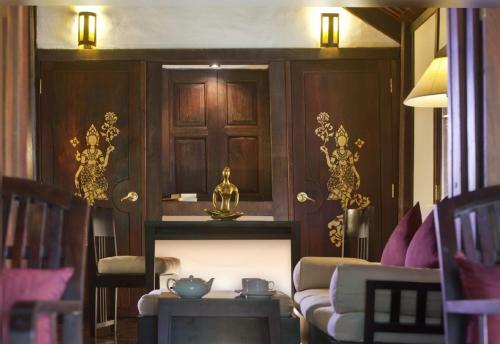 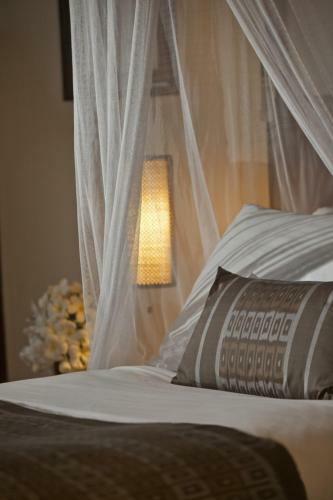 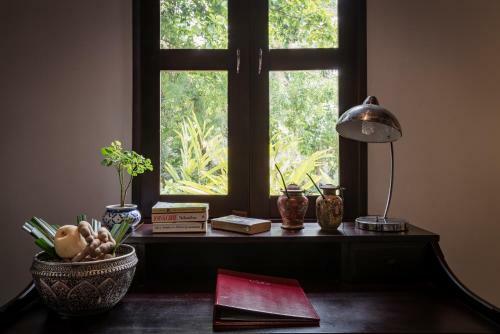 Rooms and suites at 3 Nagas feature modern designs with traditional Lao crafts. 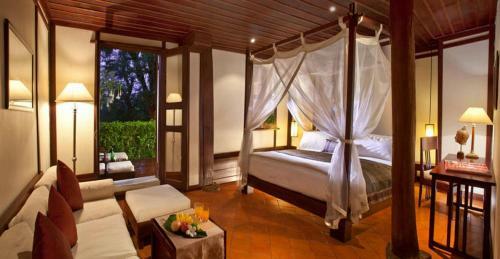 Each room has a private balcony or terrace. 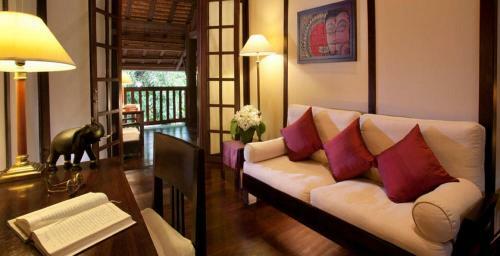 Rooms are equipped with a minibar and telephone. 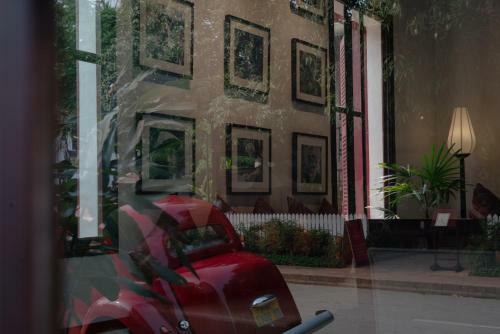 Guests can purchase souvenirs at La Boutique, which sells products by local artisans. 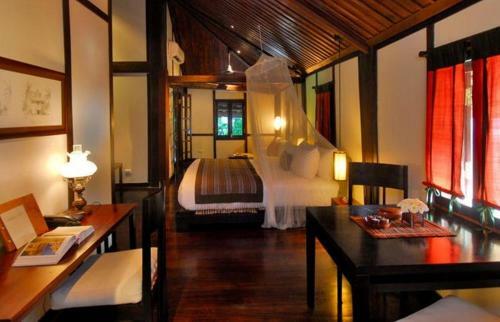 3 Nagas also provides Leisure Concierges to assist guests with travel arrangements. 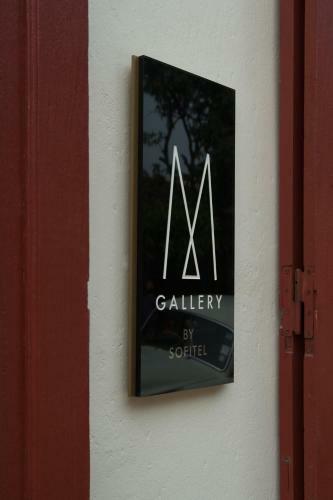 Bicycles are available for guests. 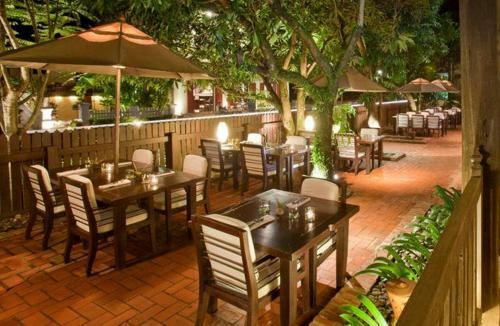 Typical Lao cuisine and cocktails are available at 3 Nagas Restaurant under mango trees. 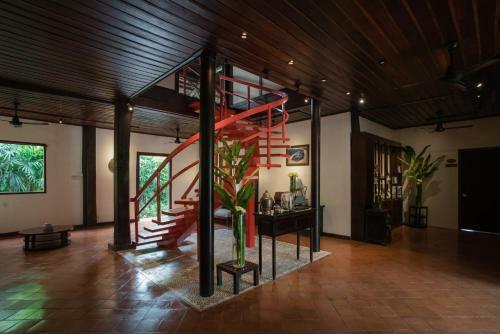 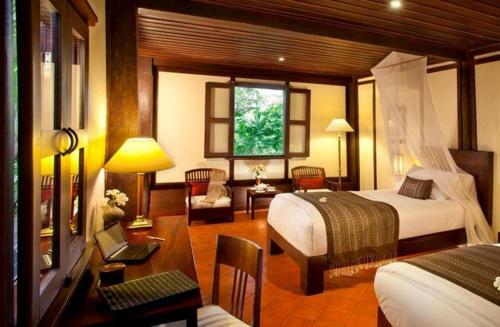 3 Nagas is a 10-minute drive from Luang Prabang Airport. Temples and other tourist activities or landmarks are nearby.